The contractor on the Hanford nuclear reservation project was given 14 days to provide documentation — not because of a specific safety concern but because the records have not previously been provided. 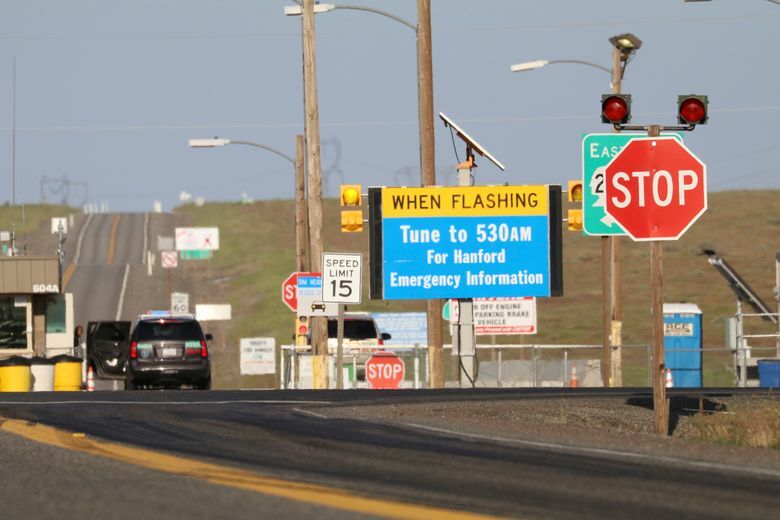 The federal government is demanding that the company building a giant nuclear-waste treatment plant on the Hanford site in Washington state provide records proving the steel used in the nearly $17 billion project meets safety standards. “This condition is a potentially unrecoverable quality issue,” said the letter sent March 6 from the agency’s Office of River Protection in Richland to Bechtel National, which is building the long-delayed plant to dispose of wastes created in the production of plutonium for nuclear weapons. The agency gave Bechtel National 14 days to provide proof that work on the project should continue. The plant is on the Hanford nuclear reservation near Richland, which for decades made most of the plutonium for the nation’s nuclear-weapons arsenal. The resulting 56 million gallons of radioactive and hazardous wastes are stored in 177 underground tanks, many of which are leaking. The waste-treatment plant is designed to turn much of that waste into glasslike logs for burial, a technically demanding process. But construction of the giant plant, which began in 2002, has long been slowed by safety and technical issues. Bechtel National is working on providing the records, spokeswoman Stasi West said. The letter from the Office of River Protection, which is named for the Columbia River that flows through the Hanford site, did not contend the structural steel in the Hanford Tank Waste Treatment and Immobilization Plant was defective. Rather it says records proving the steel can perform its safety function were missing or of poor quality. The agency directed Bechtel “to promptly investigate the facts and circumstances surrounding the procurement, receipt and acceptance of materials installed … to justify the continuation of work,” the letter said. In a statement, the Department of Energy said it was committed to the safety of workers, the public and the environment. About 40,000 tons of structural steel is needed for the plant to help prevent the release of radioactive and hazardous wastes into the environment. “Structural steel, in conjunction with reinforced concrete structures, is integral to performing functions relied on in safety basis accident analyses,” the letter said. The plant will use state-of-the-art vitrification technology, which involves blending the nuclear waste with glass-forming materials and heating it to 2,100 degrees. The molten mixture is poured into stainless-steel canisters to cool and solidify. In the glass form, the waste is stable and its radioactivity will safely dissipate over hundreds to thousands of years. The construction site spans 65 acres, and plant buildings will be up to 12 stories tall. The plant is expected to be completed early in the next decade.